Lemon and Hazelnut Biscotti – a sweet, crunchy lemon flavoured Italian dessert biscuit with whole hazelnuts. 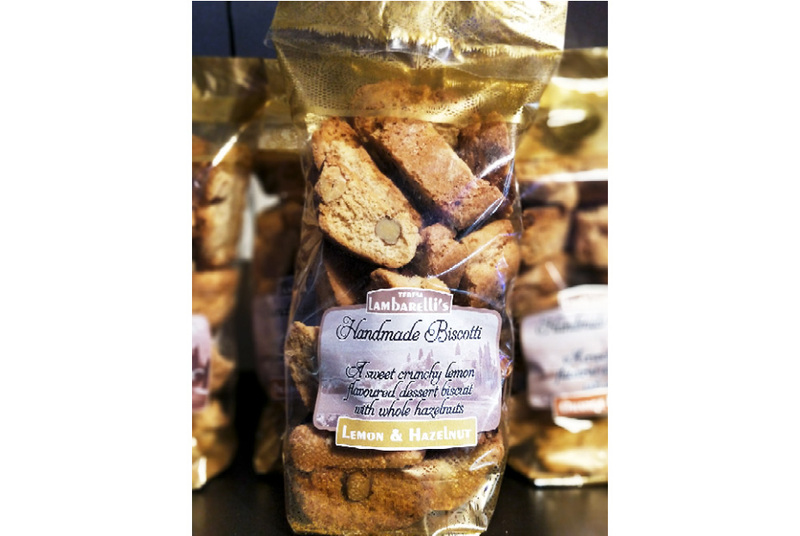 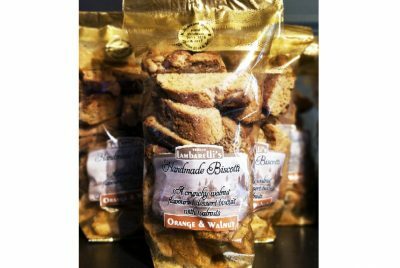 My hand made lemon and hazelnut biscotti are delicious served with coffee but they make a perfect dessert simply drizzled the biscotti with lemoncello liqueur add a spoon of whipped fresh cream and serve with fresh strawberries. 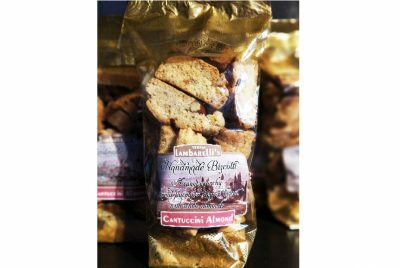 Ingredients : WHEAT flour, sugar, whole HAZELNUTS 14%, BUTTER, EGGS, polenta, raising agent (SODIUM carbonate, disodium diphosphate), sunflower oil, lemon natural flavouring, fresh lemon.